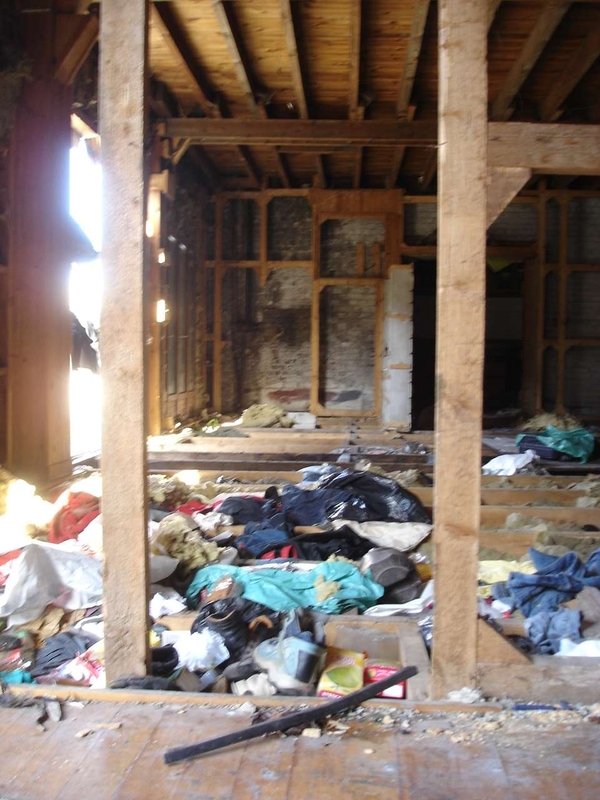 You are currently browsing the tag archive for the ‘Calais Migrant Solidarity’ tag. On Thursday we’ll be showing the premiere of a documentary film about the situation for migrants in Calais made by one of our group: Passengers is the personal account of a few people stuck in a place they don’t want to be, a collection of interviews with people seeking sanctuary. 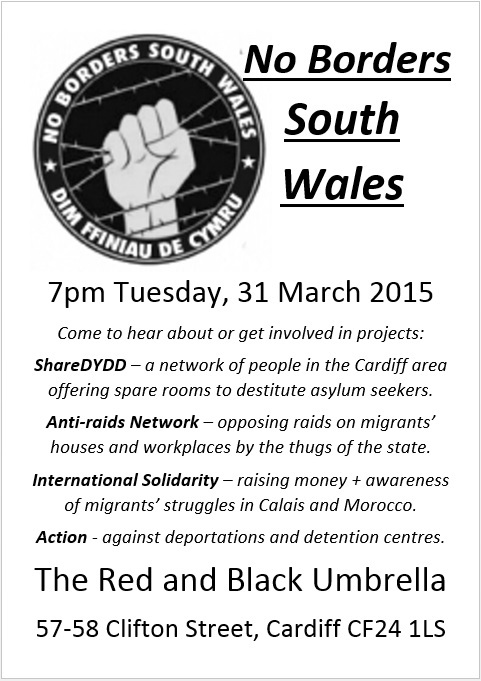 It’s No Borders South Wales meets Calais Migrant Solidarity. It’s on from 7.30pm in room 0.53 of the Bute Building, Cardiff University (map). It’s free entry and we’ll also be showing some other films about the situation in Calais and have a report back from some of the group who have just returned. Now on the revised date of Thursday 4th March from 7.30pm we will be hosting a film showing at the Birt Acres Lecture Theatre, Bute Building, Cardiff University (map). 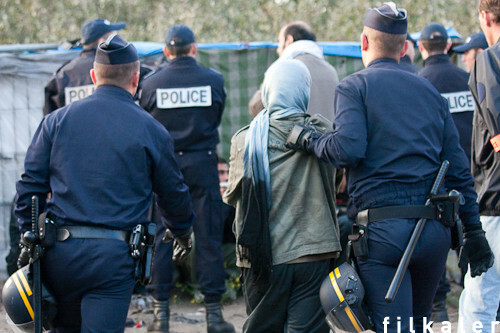 Featuring 3 short films about Calais that give a glimpse into the lives of migrants living there. One of these will be will be the premier of ‘Passengers‘ made by one of our group. You can RSVP on the facebook event page. New Year’s Eve is bound to be different everywhere, as a party, or a special occasion. But how would you be able to celebrate if you were homeless and vulnerable on the streets of Calais? A group of No Borders activists from South Wales recently returned to Northern France to take part in Calais Migrant Solidarity. A serene scene, sitting at night a migrant’s encampment, sipping tea and watching the dark sea from the sand dunes. Behind the gulls are wheeling against the orange sky. This peaceful snapshot hides the daily struggle, stranded up against the tall fences of the UK Border. It’s very cold. It’s very exposed. There’s no water and it’s a long walk from anywhere.